We decorated our gingerbread house the other night and my daughter thought it was such a hoot! We let her go for it and do it completely how she wanted. Here are a few of my favorite gingerbread ideas that have caught my eye so far this year. Also, have you seen these adorable gingerbread house invites? They would be perfect for a gingerbread house party. Are you going to decorate a gingerbread house or any gingerbread treats this year? Love that tiny chair outside the camper. Such an adorable little detail! Hilarious! We had a gingerbread building competition at my work this week. It was great to see everyone one so creative. I turned mine into a bird house. Those are amazing! I love the camper. thanks for the post! i love it. WHAT?! 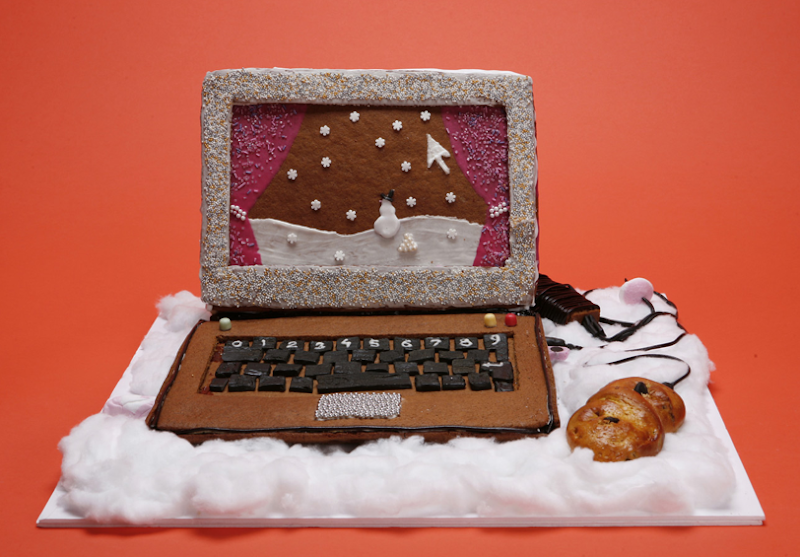 these are so creative...i love the laptop. You find some really great things! I love it. Thinking outside the gingerbread box. Looks like your having so much fun in making this. i get very christmas-nostalgic here in italy so i will definitely be making a gingerbread house! p.s. your house came out so cute! love the door! 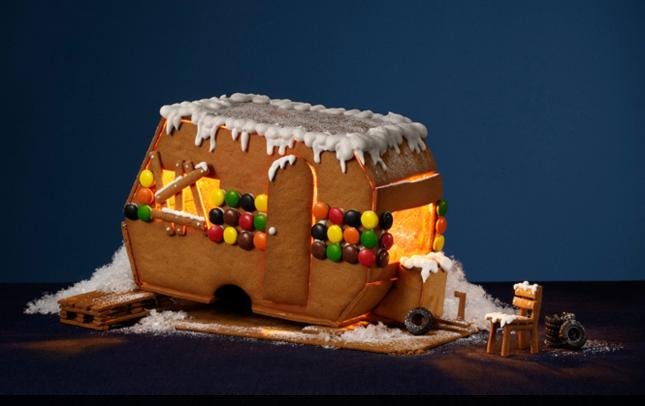 I love the gingerbread camper- it would be fun to have everybody decorate their own, and you could have a whole camp! We built our gingerbread house this weekend. I burnt my finger on the hot sugar mix. The kids decorated it and had a great time. Next time I'll get the icing sugar consistency right so that everything doesn't slide off it half an hour later! I needed a good laugh...the camper is just the medicine...lovely!!! These are soooo sweet! I love it! Love these ideas :) Great post! The camper is the best, hilarious! I made gingerbread snowflake cookies yesterday that came out fantastic! Instead of the traditional gingerbread men, I cut out snowflakes and then used icing to pipe on different patterns and then sprinkled them with sugar so they'd sparkle like ice. I got the idea from Real Simple last year and finally tried it out. I remember making gingerbread houses at a neighbor's house when I was younger. There were 5 of us kids making houses altogether and we had a whole village when we were done! That caravan is so funny! Love these! I did a post with the cutest gingerbread on a cup. So fun for a party! Those are too cute! Lovely blog!